This feature is only available to That Clean Life for Business members. You can add two types of cover pages to any of your PDF exports. A brief, with any notes or special instructions you'd like to include with the plan. You have the ability to include both, one or none of these options to your PDF exports. 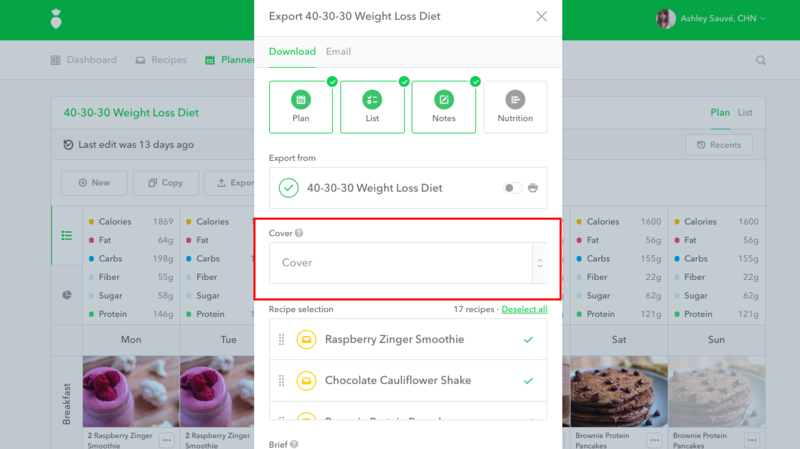 When looking at the meal plan or recipe you want to export with a cover page, click Export. A dialog will pop-up and you will see a field that says Cover. Click on that field, and you will see a dropdown which contains a list of recipes from the plan. Select the recipe you would like to include a photo of on the cover. 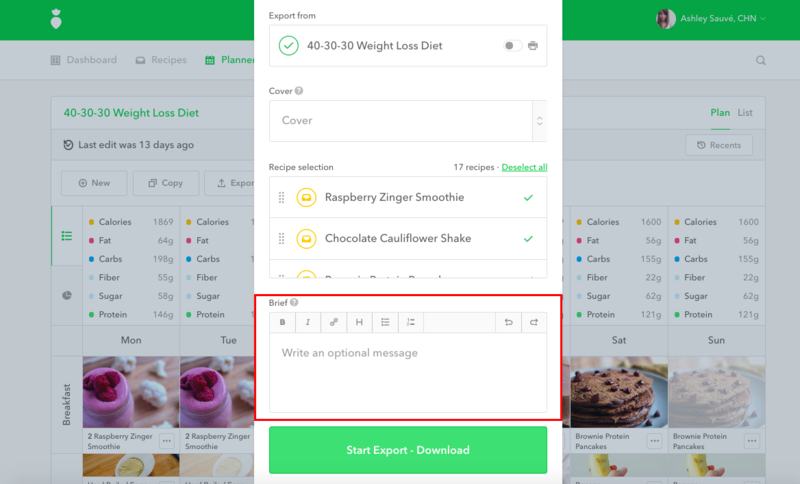 When looking at the meal plan or recipe you want to export with a brief, click Export. Click either Email or Export (depending on how you would like to deliver your plan). Your plan will now export with a brief. How Do I Add a Link to My Brief?